The Classical Training Scale is the Dressage trainer’s guideline for developing a horse and rider. Classical training is done using a proven method developed over hundreds of years of military horsemanship. 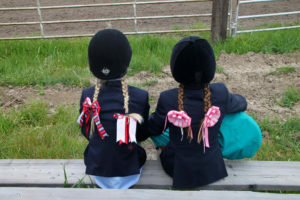 Knowing how to plan your schooling is a tremendous help and a wonderful guideline as you train a horse for hunter/ jumper shows. The elements of the dressage training scale can be applied to a jumping horse with a few modifications, as we ride in a forward seat and need a more relaxed, stretched out frame. The first Classical Training Scale guidelines are: Rhythm, Relaxation, and Contact. 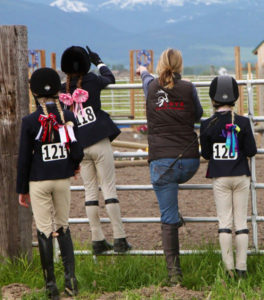 Whenever we have a problem with our riding or training program— it is usually because one of these foundation elements is weak– or missing completely! 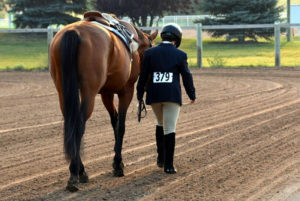 The best way to make steady progress with your horse is to review these training ideals, and apply them with each ride. I use rhythm every moment I ride and in every aspect of my training. A Hunter needs to be in Rhythm and Relaxed to show the form necessary to place well in Hunter competitions. Rhythm is how we make the strides smoother between the jumps in a show. Contact for a jumping horse can mean we take a flexible feel of our horses mouth and by keeping the horse balanced in front of our leg, create positive energy and balanced beauty. Riding a Dressage Training level test is a great warm up before jumping and can tell you where the weak spots are in your flatwork. I recommend that you invest some time to learn about USDF ‘ training level ‘ tests and apply their guidelines to your forward seat training — the results will amaze you! The rest of the Dressage Training Scale is: Impulsion, Straightness, and Collection. These ideals can also be applied to our hunter/jumper training. Straightness is very important! A straight line in the horses body results in a straight line to the jumps and around the corners of the arena. There is a lot to schooling for “straightness’’ in a horse, and this type of “straightness’’ also means the correct bend around the corners of the hunter and jumper arena! True straightness in a jumping horse means the horses body is not falling in or out of the track to the jumps which is the foundation for balanced jumping! Impulsion in a jumping horse can mean he has energy and pushing power from straightness in his body and well developed carrying power in the haunches. This attribute is more useful in a Showjumper who must jump higher fences. Too much Impulsion will destroy the calm look of a Hunter, yet it is useful for a rider to know how to ‘create impulsion,’ as this skill will also help the Hunter rider learn to dissipate it! Collection to a jumping horse can mean his stride has become smoothly adjustable, making it easier to balance him to the fences and adjust his stride for a long or short take off spot at the jumps. Once again — too much collection in a Hunter can destroy the “flowing forward soft look” of a long relaxed stride and that is the style of a winning hunter! 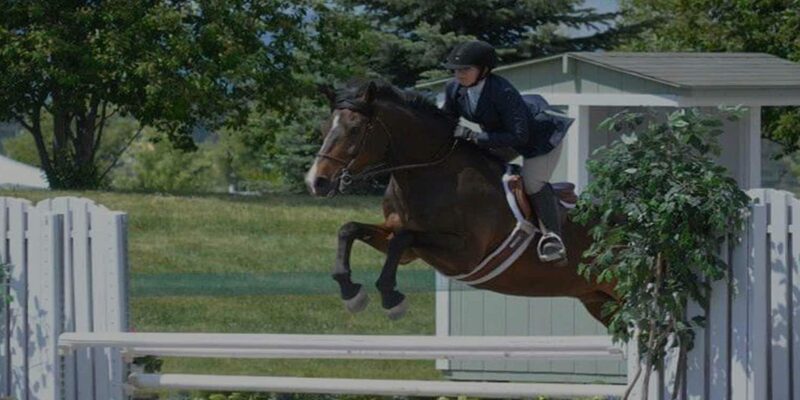 But to learn how to train a balanced horse will help with every aspect of jumping — in a hunter class or jumpers! Have fun with these training ideals and learn to apply them systematically to each ride! See you at the shows!